Hi guy! I hope you had a great week. For today’s blog I want to discuss something a little more casual and normal. It is pretty simple, something that might happen to all of us and that we can fix easily. Today I want to talk about most common errors we make that are damaging our teeth. It may sound trivial, but trust me on this, it is pretty important. Our smile is like an introduction card to everyone. That is one of the reasons we have to take care of our teeth. Aside from this, it is pretty impossible to eat without them. So if we lose them it is pretty expensive to replace them. Except if you come to Dental Solutions in Los Algodones, we have excellent prices on d ental implants and such. Even so, it is our duty to take care of our teeth as better as we can. And we can be confident that our teeth will last a lifetime because we brush, floss and rinse. The truth is that this is not enough and there are certain habits that are ruining our teeth and we are not aware of it. Let’s jump right into them to see how to fix them. Yes, we know. You brush your teeth 2 to 3 times a day and your teeth look weak and stained. This can be a consequence of not drinking enough water. Water is important to our body to be able to produce enough saliva. Saliva act like some sort of natural cleaner in our mouth, helping you to get rid of bacteria that can break havoc in no time. So try to drink 6 to 8 glass of water a day to stay hydrated and help your body to produce saliva. On the same page we found sugar. Even if you brush 100 times a day you can ruin your smile by just eating too much sugar. And this includes sugary drinks like sodas and even wine. Sugar is highly abrasive to your teeth and can cause cavities easily. Try to tune down the sugar in your diet and try to replace it with fruits instead. 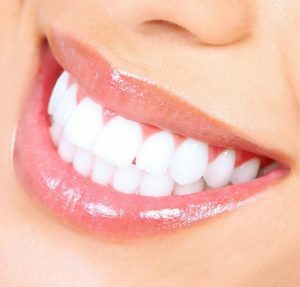 Your teeth will not get whiter this way. Well coffee is awesome, but can be bad if in excess. Coffee can stain your teeth pretty badly if you are not careful so I suggest to stick with 1 cup a day. If you can brush your teeth after drinking coffee it will help a ton to reduce its effects on your smile. This is somewhat well known, but I have encountered many people that don’t know still. 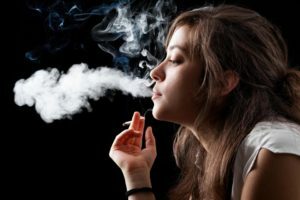 They think that with enough brushing and rinsing after smoking they can rid of all the side effects. That is not true at all. Smoking will ruin your teeth eventually. Besides, you cannot get rid of the bad breath it gives you. If I was you I will quit smoking right to save my teeth from doom. Tobacco is the most common responsible for tooth loss according to the ADA. And let’s not even mention all the other health problems that it can cause such as cancer. Today is a good day to quit smoking, guys. Last but not least, you should go to a dentist at least twice a year. Heck, even one time a year can be enough, it will depend on your oral health. But certainly going to the dentist can improve your dental health. Many people just ignore going to the dentist because they thrust their oral care routine. But we can’t do all by ourselves. We need a professional dentist to take care of some of the problems we may have. Or just so we can get a deep cleaning that will ensure that our smile is always healthy and beautiful. You know what to do, give us a call at Dental Solutions in Los Algodones to get excellent prices in dental treatment.